Does it get any cooler than what these guys bring to the table? 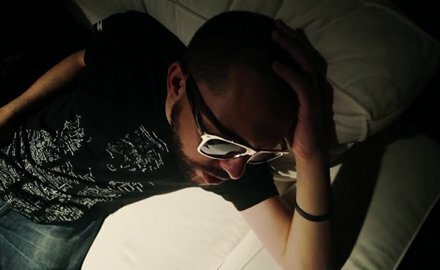 In another stylistic masterpiece of a music video, ¡MAYDAY! debuts their music video “Darker Shades For Brighter Nights” from their upcoming EP Thrift Store Halos. This cinematic gem features the boys from Miami lounging to the laid-back vibe set by Plex Luthor’s guitar, cut in-between shots of ¡MAYDAY! stuffed in their ride, ready for whatever the night has to bring. When it’s all said and done, one thing’s for sure: you don’t want to play chicken with ¡MAYDAY!